Ah, the pencil, the fundamental unit of art (mostly). Many people will try to tell you there is a difference in the performance of different brands of pencils. While there may be it is so small that it is almost unrecognizable. The main difference between pencil brands are the aesthetics and feel. 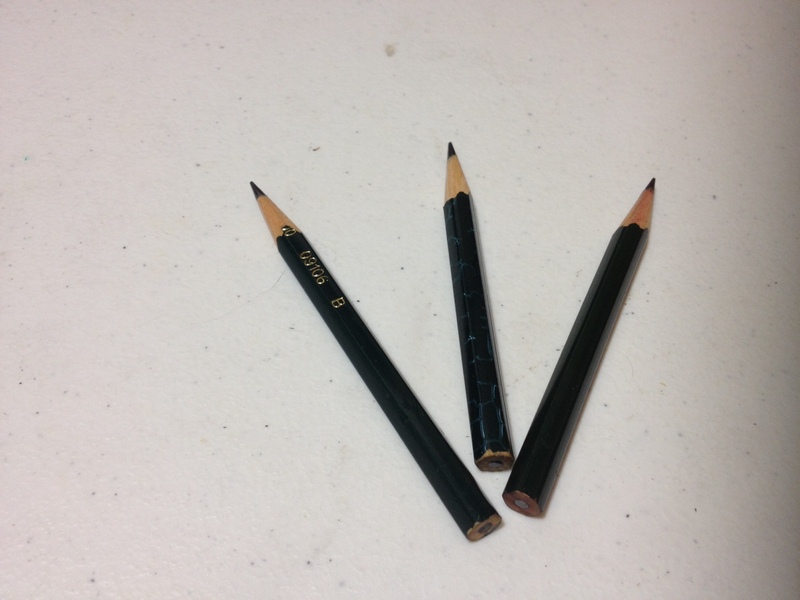 So I’ll leave finding which hardness of lead you prefer and focus on the feel of the Sanford Design pencils. The lead obviously comes in all hardnesses, and I can verify that it does actually write. But that is not he major factor in choosing a pencil, really. This variety of pencil feels good in the hand to me personally. They are slightly smaller than the regular number 2 school pencil, and maintain the slightly uncomfortable ridges of their hexagonal design. But being small the ridges are less noticeable and help with grip on an otherwise smooth and slippery pencil. The writing on the side is clear but shiny, and in glare is hard to read, but from my experience doesn’t wear off. It has a nice feel in the hand and is not prone to slipping, but after continued use the corners do tend to dig into ones hand. This pencil variety is my pencil of choice when it comes to art, though it doesn’t have an eraser the comfort and better lead (when compared to school pencils) makes up for it. Although I will admit that the main reason I use it is because the art stores I frequent carry it and not another brand. I recommend trying out a bunch of different pencils to see which you like best. This entry was posted in Advanced Supplies, Utensils and tagged comfort, design, design pencil, hardness, lead, pencils, review, ridges, sanford, types by Dragon Co (Austin Smith). Bookmark the permalink.